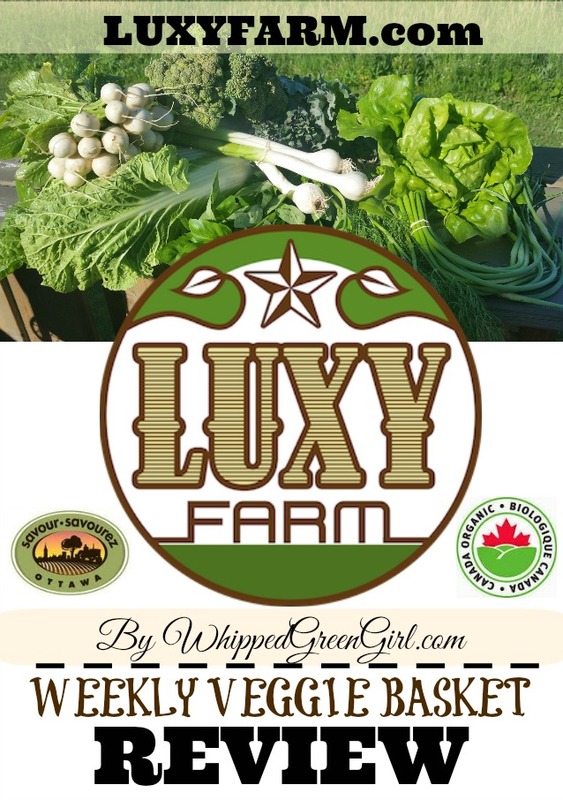 Luxy Farm is the brainchild of a couple outta Toronto, ON (Daizy & Jonny) with a passion for greens. 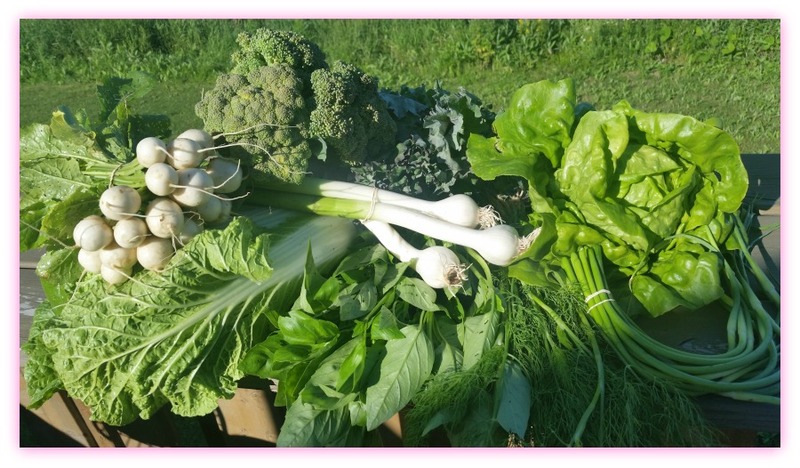 Together they grow, certified organic veggies from their farm, to your plate. It’s their livelihood. Personally working their bones and land for the past 6 years. They’ve expanded beyond just weekend farmer’s markets. Concept is simple, you get a box filled with “in-season” veggies, picked fresh from the farm that week. 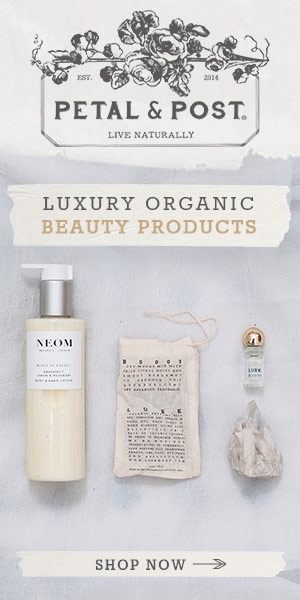 Makes shopping a breeze, since it’s done for you. 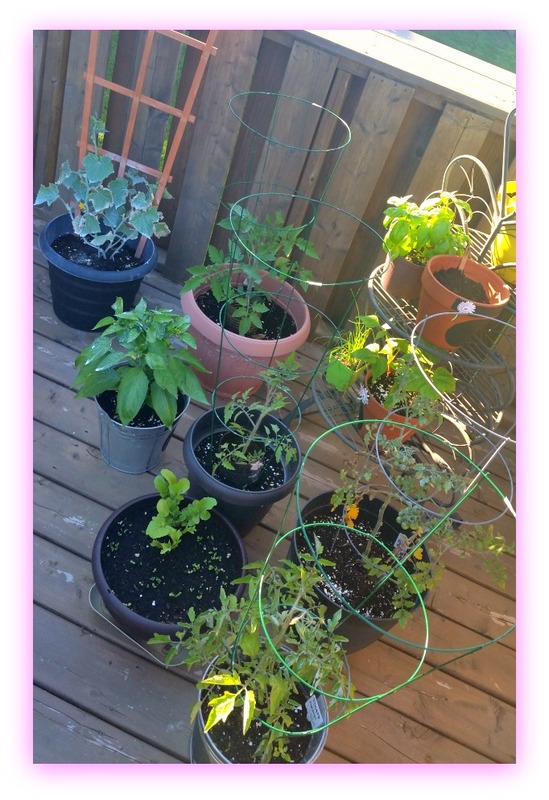 Plus, you get to try tons of new veggies your garden probably doesn’t have space for. The farm’s out in the sticks of St-Albert, ON (the same city famous for its cheese curds…) I was thankful they had a “Luxy Farm” sign at the end of their long, inconspicuous driveway. Parking is no issue – you’re cruising up to huge farm. When I first walked-up, I almost went into their house. I saw a sign on the back door so I assumed but… Oops, nope don’t do that. Go to the red barn. There you’ll see, spread across tables in bins, all the veggies you get to take home that week. I love the bins idea. 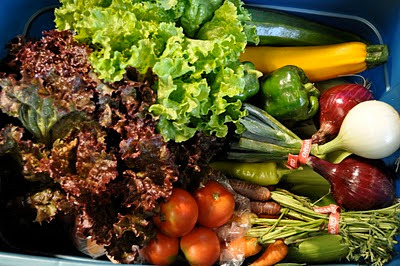 It means you can pick-out you own veggies from the pile (it’s not all prepackaged! LOVE THIS) The bins say, “Take 1” or “Take 2” – so I paid attention. Cleverly placed, is a final “trade bin” where you can swap-out a veggie you may not like so much for another you like more. Great idea for pickier shoppers. Another bonus, Luxy Farm post recipes coinciding with whatever is in that week’s box. Huge help with meal prep and ideas to make sure no veggies go to waste. Farming Ain’t Easy, But Ain’t That Bad! 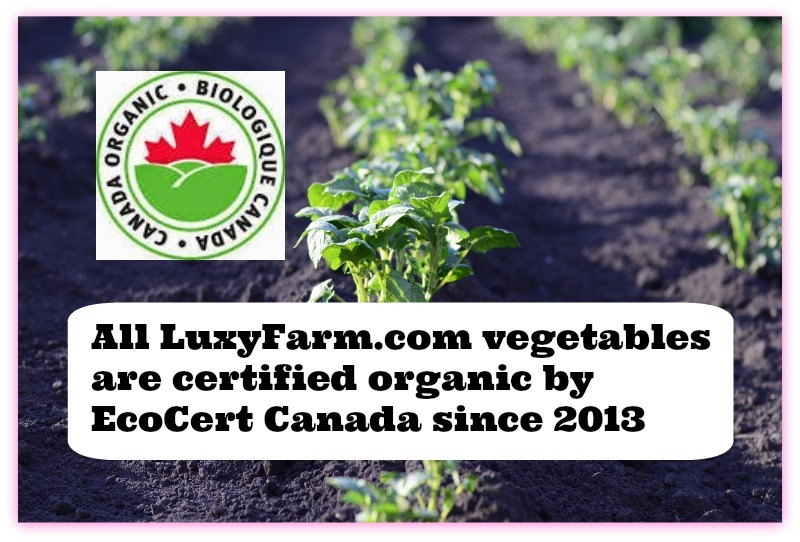 Certified organic vegetables are hard enough to find. But to also have them 100% fresh, hand-picked makes them even better! 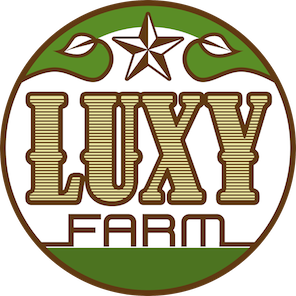 Everything included in my Luxy Farm Review, tasted better than most junk produce I’d buy in store. 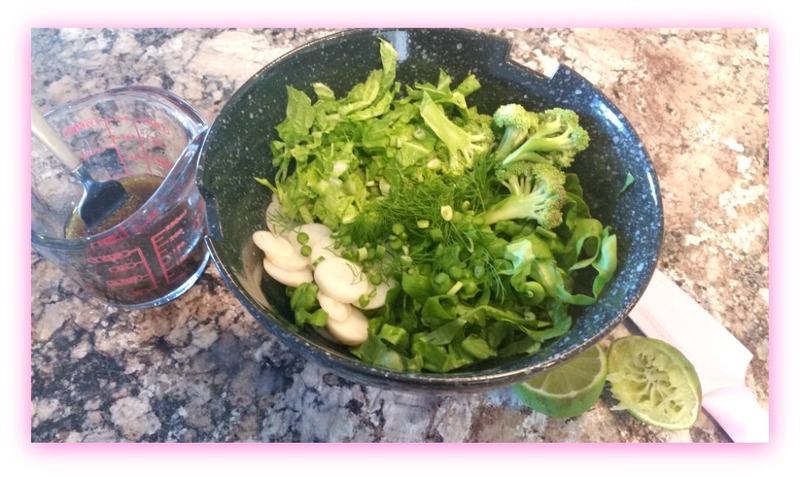 Plus, their veggies are way bigger (the bunches are generous), they last longer, and the product looks so much prettier. Right after coming home, I whipped-up this salad. I followed a LuxyFarm.com recipe for the dressing too. Legit, within minutes I already had a full meal outta my basket – yum! 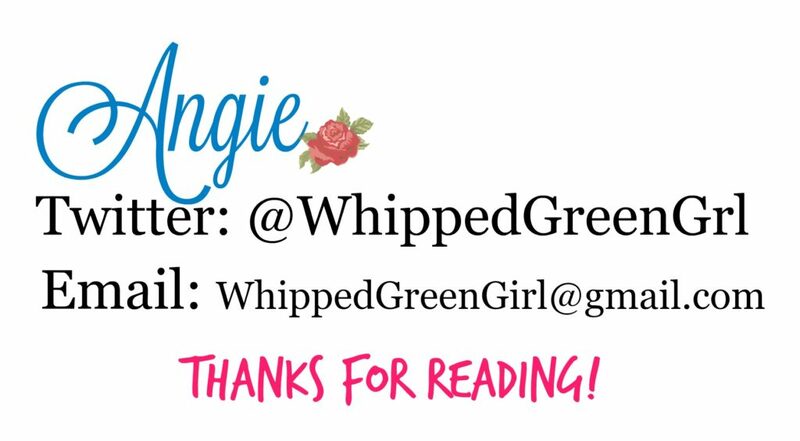 Or follow em’, to find em, via TWITTER!